NASCAR's West Coast swing is over, and the action is just starting. Three of the next four races for the Monster Energy NASCAR Cup Series will take place on short tracks, which are notorious for great racing, lots of contact, and heightened action. Martinsville Speedway is the first short track on the schedule in 2019, and the tight, half-mile, paper clip-shaped track always presents unique challenges. From a fantasy perspective, short-track races present a different strategy than what we've been doing so far this season. With 500 laps on the docket, there are more laps led and laps completed points available on FanDuel, which means we will want to target drivers who are going to run up front all day. 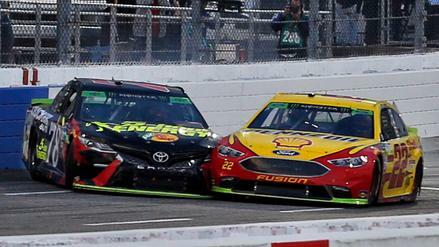 Also, at only a half-mile long, it can be a very short amount of time before the leaders begin lapping cars, which means a mistake can be extremely devastating for any driver. Here at numberFire, we've always got you covered for everything NASCAR DFS. 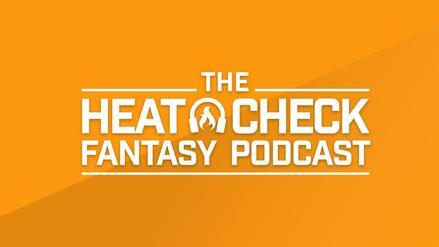 Our track preview gives you more information about Martinsville, our driver preview helps bring you up to speed on recent driver history, and our Heat Check Podcast with Jim Sannes gives you insight to how he is approaching this weekend's slate. With the starting lineup set and the first and second practices completed, let's preview the STP 500, which starts at 2 p.m. EST. 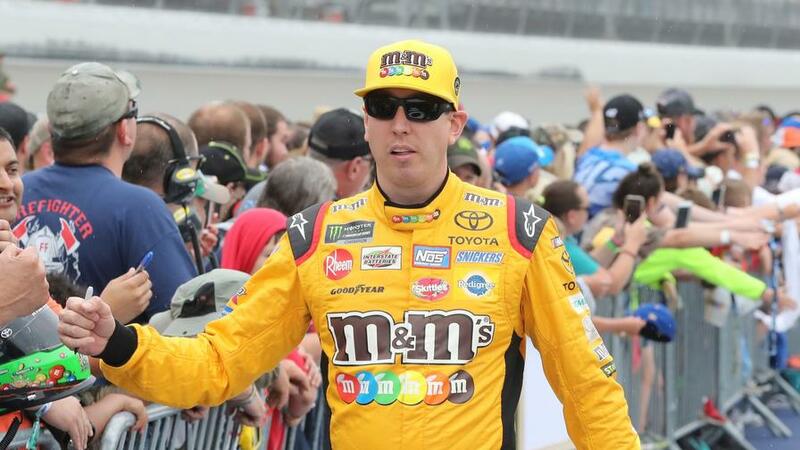 Kyle Busch ($14,900): Choosing whether or not to play Busch is the pivotal fork in the road in DFS this weekend. Busch is scorching hot, dominating the last two weeks on the way to back-to-back wins. The road does not get much easier for the rest of the field this weekend as Rowdy has a great history at Martinsville. He has seven straight top-five finishes at the track, including two wins and four races in which he led more than 100 laps. Busch will undoubtedly be a factor Sunday. He starts 14th, which is a prime position to gain some place-differential points, as well. Without a clear option emerging to challenge him this weekend, Busch is rightfully going to be popular. Martin Truex Jr. ($13,500): Martinsville has not been a strong place for Truex over his career, but things seem to be trending up. He has three straight top fives here and was within a corner before Joey Logano snatched the win from him in October 2018. MTJ boasts a strong car this weekend, posting third on the 10-lap average in first practice and recording the best 10-lap average in the final practice. Truex has had an inauspicious start to his 2019 compared to previous years, but that could all be erased if he were to capture the famous Martinsville grandfather clock. Ryan Blaney ($11,600): The case for Blaney, who is listed at a steep price increase after two solid weeks, is twofold this weekend. First, Blaney starts 18th, which is in a safe range for pass-differential upside without the fear of being lapped should he progress forward in the field. Second, Blaney had an extremely strong spring race at Martinsville last year, winning Stage 2 and leading 145 laps before coming in third. If Blaney can replicate that performance from today's starting spot of 18th, he'd have a big DFS day, even at this escalated price. Kurt Busch ($10,300): Not many drivers come into the STP 500 with better form this season than Busch. He has arguably been the surprise of the season, posting a 5.25 average finish since wrecking at Daytona and being far and away the most successful team in Chevrolet's stable at the moment. He has an up-and-down track record at the paper clip, where he does boast two wins, the last in 2014. He starts 20th on Sunday, which is just about perfect from a place-differential standpoint, and if he can post something close to his average finish from the 20 spot, he will make for an excellent fantasy play. Jimmie Johnson ($9,900): It's pretty amazing that a driver with nine wins at this track would have a price tag less than $10,000, but Johnson and his team haven't displayed the dynastic qualities they used to have many years ago. Still, value could be had here with the NASCAR legend. Johnson's last win at the track was not too long ago as he won back in the fall of 2016, and more importantly, Johnson appears to have that kind of speed this weekend. He was third in final practice, behind only his teammates, Chase Elliott and Alex Bowman. Hendrick Motorsports hasn't seemed to figure out the aerodynamics of the Camaro-style body that debuted in 2018, but on a track where not many fenders see the end of the race, the 48 brigade can lean on its incredibly talented driver. Ryan Newman ($8,900): Many weeks, Newman is Mr. Consistent, and his Martinsville results are no different. He has seven straight top-20 finishes at the track, and starting 21st, the math is already lining up in his favor. He is pretty expensive this weekend, but he does boast the ninth-best track average the last four races here, at 12.25, so it is perhaps he's more expensive for good reason. 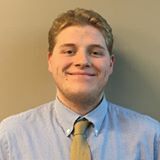 You could definitely consider the higher upside of Alex Bowman ($8,600), who is in a similar spot, for tournaments, but Newman brings a touch more reliability for cash-game formats. Ricky Stenhouse Jr. ($7,100): Stenhouse makes me nervous in just about any situation, just because of his propensity to find trouble, but taking the plunge on him this weekend is a decent bet. 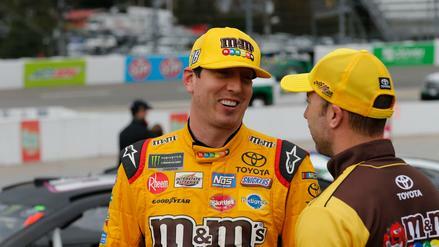 Being the wild card he is, he sports an average finish at Martinsville of 13th in the last three races he has finished. However, in the other two, he crashed out and finished 37th and 40th. At only $7,100, Stenhouse is a great pivot off of William Byron ($6,900), who many will roll the dice on in tournaments with him starting sixth. But unlike Stenhouse, Byron has no track record of success at Martinsville, finishing 20th and 39th in his two tries. Take the floor with Stenhouse, especially in cash. Daniel Hemric ($6,900): Starting in 29th, Hemric will likely have a far greater struggle to stay on the lead lap than Stenhouse will. The good news? He appears to have a decently fast car to do so as he posted seventh in final practice. Austin Dillon ($7,700), his teammate, will be popular as a marquee name starting deep in the field, but Dillon's track history is atrocious, finishing a non-competitive 30th in both races a year ago. A reason we should be willing to gamble on Hemric is that last year in the Xfinity Series, he had a sporty 6.16 average finish in six short-track races. He also led a combined 140 laps in those races, showing a knack for these kind of tracks. Beginning in 29th, Hemric offers some big upside at a cheap price. Ryan Preece ($4,500): Speaking of solid Xfinity Series short-track racers a year ago, Preece won at Bristol last season and finished third at a similarly flat Loudon race track. Preece has had a really rough start to 2019. Since crashing out at Atlanta when running inside the top 10, he has yet to find the top 20 again this season. Stocks are best bought low, and $4,500 is just too low of a price tag for a driver this talented. Keep in mind, this 47 car is the exact same team that A.J. Allmendinger found the top 10 with at this race track four times since 2016. Preece could surprise today with a solid run inside the top 10, one that outcome would be a fantasy gold mine at this price. UPDATE: William Byron ($7,000) failed inspection and will start in the rear of the field. Byron ranked 18th in 10-lap averages during final practice, but the place-differential upside does put him in play for DFS.